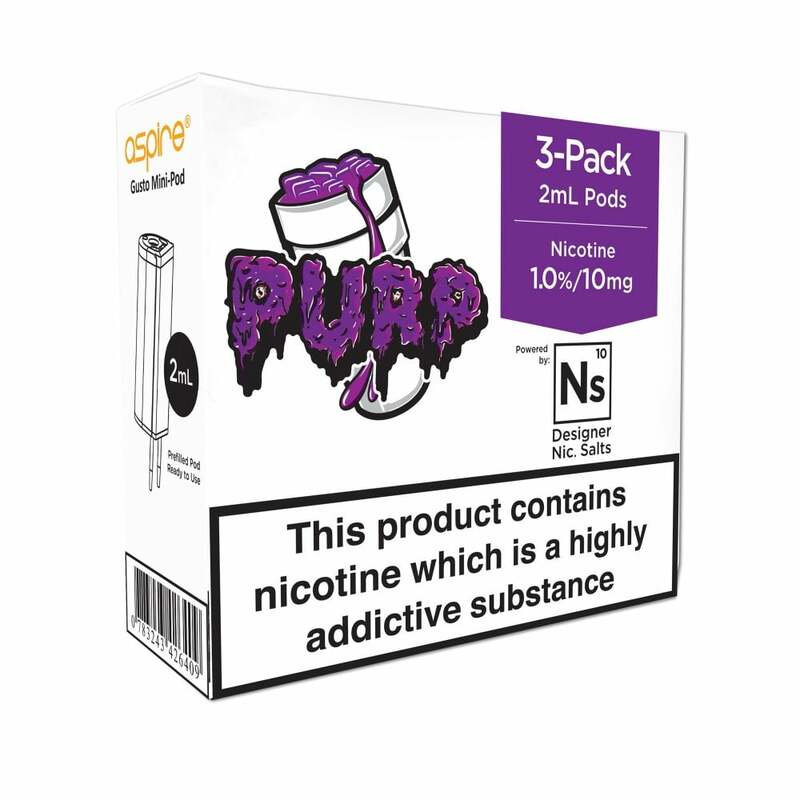 Purp is a delicious grape vape, and is now available in nic salt pods for the Aspire Gusto Mini. Purp Gusto Mini pods are packed with sweet grape candy flavour drenched in lemonade for a fruity, complex vape you won’t want to put down. Purp pods have a nicotine salt formula, giving you an quick and intense hit of nicotine with every inhale. Like this one but not in bulk. Nice smooth sweet grape taste, great for a nice change.